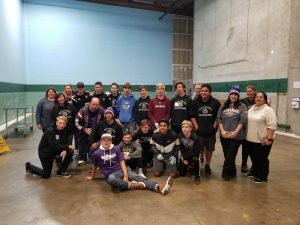 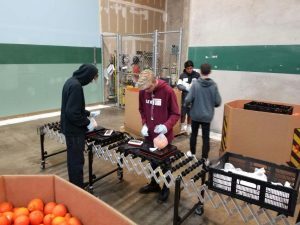 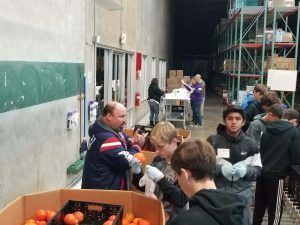 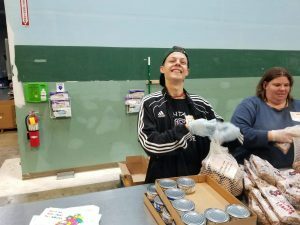 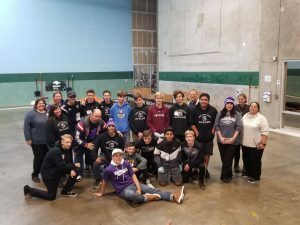 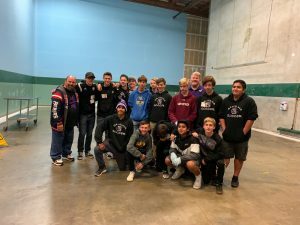 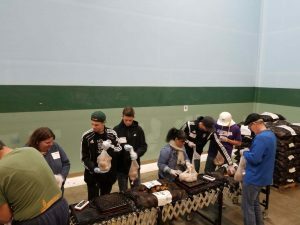 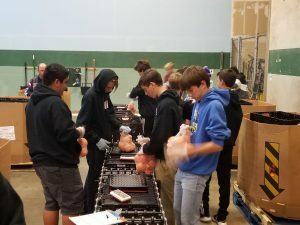 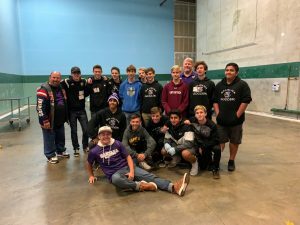 1 in 8 people struggle with hunger in the United States and Thursday Night players from both the JV and Varsity Soccer Team along with parents went to Feeding America a hunger relief organization that has a nation wide organization of food banks. 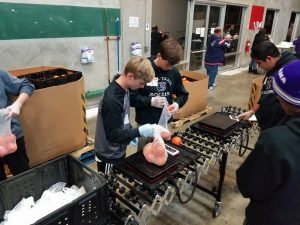 For two hours the boys worked on bagging all sorts of food as the team helped with several 1000 pounds of food. 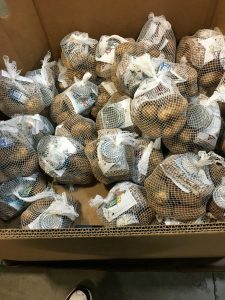 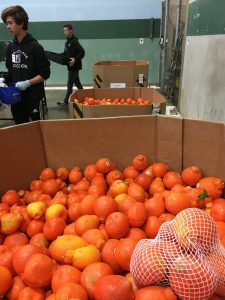 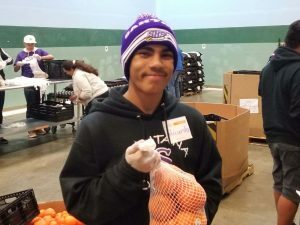 The boys bagged over 2400 pounds of oranges and a few thousand pounds of potatoes along with other foods. 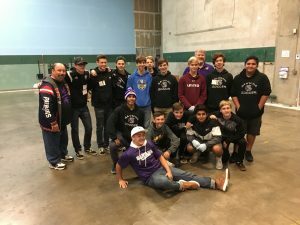 This was a great night giving back to the community and Santana is very proud of the community service effort keeping up the great Sultan soccer tradition of Feeding America.